Good morning! 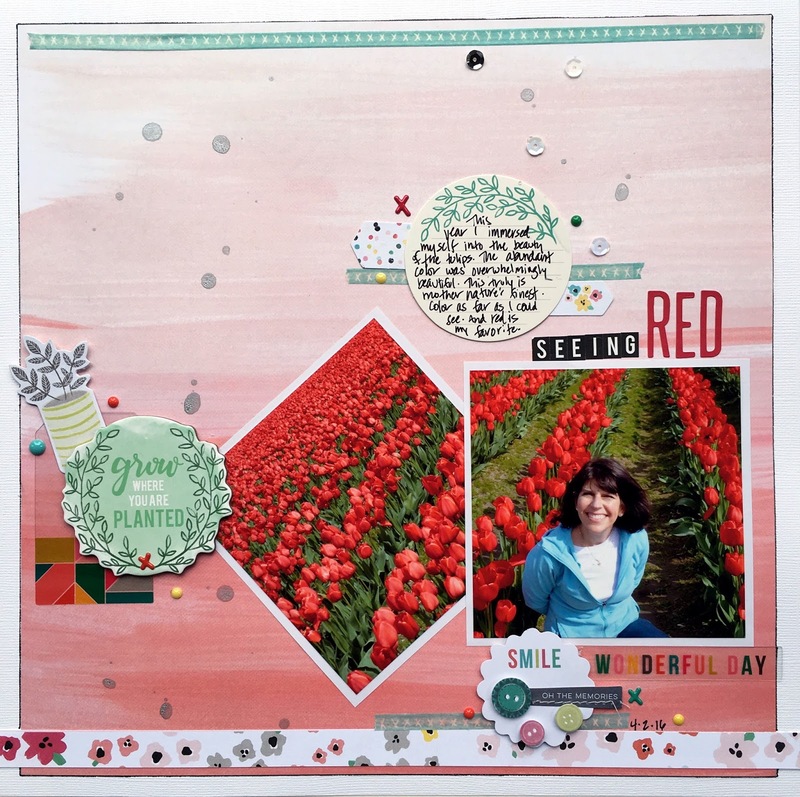 I'm sharing a page today that is part of the newest reticle at Get It Scrapped. 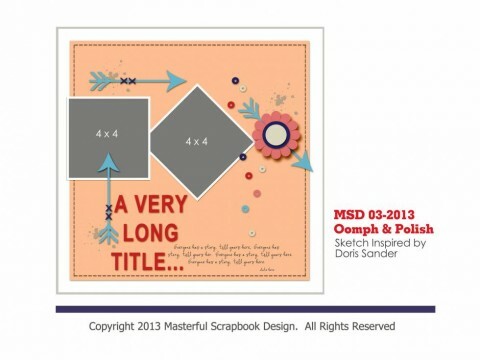 As always, the ideas at Get It scrapped are all about making scrapbooking easier. Well, what could be easier than a sketch? When I first started using sketches, I tried to follow them exactly. That took the design process away from me, which is something I struggled with. As I became more confident in my own decisions, I began to use sketches as a starting point. Even though I take a lot of creative freedom when using a sketch, I make suer you can see the original design in my finished page. When I first looked at this sketch I thought it was very sharp, and geometric. As I began to play with it, I found it to be more like designing on a band, but with more shapes. I flipped it upside down, putting the weight of the page at the bottom. That gave more balance and flow to it. Tilting the photo still gives the viewer the full image of the flowers. When choosing my embellishments, I used circular elements to soften the sharp lines. We've made visiting the tulip fields an annual family outing. They are indescribably beautiful. This year, I was overwhelmed by all of the colors in the tulip fields, but was particularly drawn to the bright red. I literally immersed myself in the rows of flowers. You can find even more inspiration from several other great pages created with this sketch in the article today. Thanks for stopping by my creative view today. Come back again soon, I've got much to share.